Click here to get more information on volunteering with AFSSA. The first step to volunteering at AFSSA is to sign up for an orientation. If you are unable to attend in person on the dates above and would like to get involved before later orientation sessions are scheduled, please email volunteer@afssaustin.org. Additional training may be required beyond the orientation, depending on your interest and opportunities available. Administrative and event volunteers are accepted on an ongoing basis. Please email volunteer@afssaustin.org for more information. AFSSA overcomes language and cultural barriers to provide assistance to the victims of domestic violence in the Asian communities of Austin. Before AFSSA, there was no effective help in this area in Austin and many, many people suffered without recourse. The work AFSSA does is difficult, complex and requires a huge commitment to the vulnerable members of the Asian communities of Austin. I applaud the job AFSSA has done and believe that we should all support AFSSA in this most important work to give voices and power to the victims of domestic violence so they may take charge of their lives and work towards a safe and happy future. 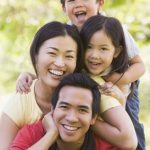 Asian Family Support Services of Austin provides crucial support for individuals and families in crisis, to help them transition to a better future. Our community is fortunate to have this program. With the amazing growth and diversity of Central Texas, it is also critical that we provide services are targeted to the people who need help the most, and in our community, those are people who have cultural and language barriers that make it difficult to seek help for themselves and their families. 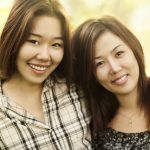 I am so thankful that my Asian sisters in need have a safe place they can turn to. AFSSA is a critical partner in our coordinated community response to domestic abuse, sexual assault, and human trafficking in Austin/Travis County, as we remain stalwart in our collective goal to keep all victims safe. 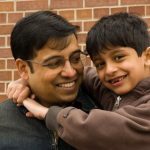 We now know that victims are more apt to seek culturally specific programs for assistance, if available, because programs like AFSSA are uniquely qualified to address the complex, multi-faceted barriers to safety, resources, and justice that many face. 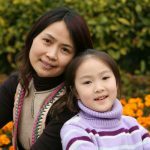 By providing exemplary holistic advocacy services that are culturally and linguistically appropriate, AFSSA is a local, state, and national leader in prevention and intervention for Asian/Pacific Islander families. A human being has the absolute right to live in dignity and freedom. This right is bestowed upon us by being connected in humanity. AFSSA builds bridges to human dignity! The Texas Legislature has taken numerous steps in recent years to address the devastating problems of sexual assault and trafficking. To truly confront the issues, however, our community is reliant on the work of groups like Asian Family Support Services of Austin (AFSSA). Their efforts are crucial to meeting the needs of our diverse population, and better ensuring that no one slips through the cracks. AFSSA is about more than providing safety from violence and fear – AFSSA’s true power is hope. It may be the first kind word in a familiar language heard in a long time; a warm, welcoming place after months of being afraid in one’s own home; or the opportunity to finally feel in control of one’s own life. But most of all, AFSSA means you’re not alone. 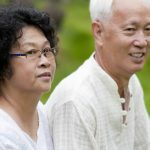 Asian Family Support Services of Austin (AFSSA) promotes abuse-free Asian communities through advocacy, support, awareness and access to social services.